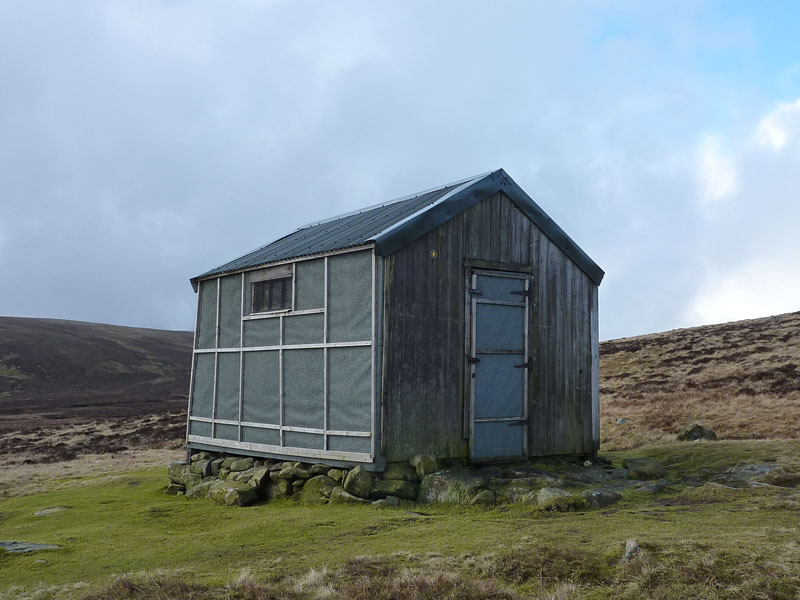 Looking for something special this weekend, this walk was twice in the planning stage this winter, but fell foul of the weather. 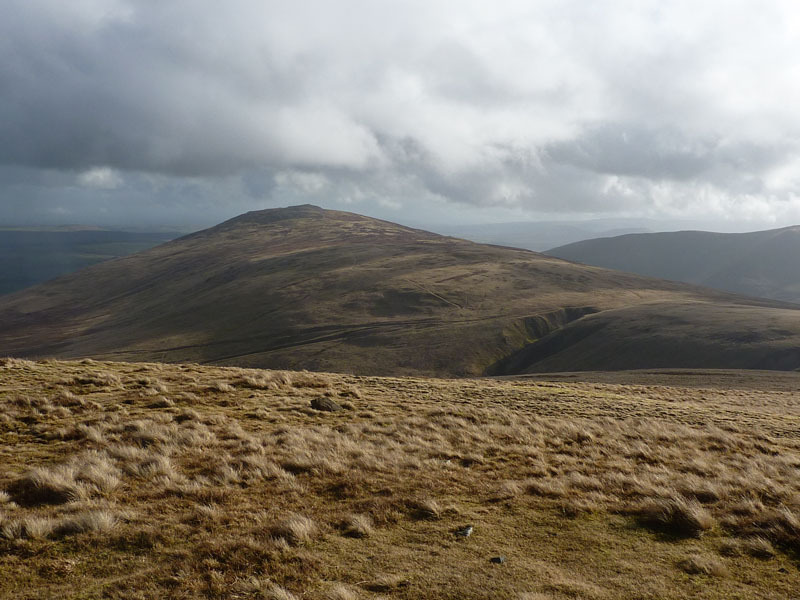 Carrock Fell is one of the three fells climbed today on a really fine walk in the Northern Fells of Lakeland. 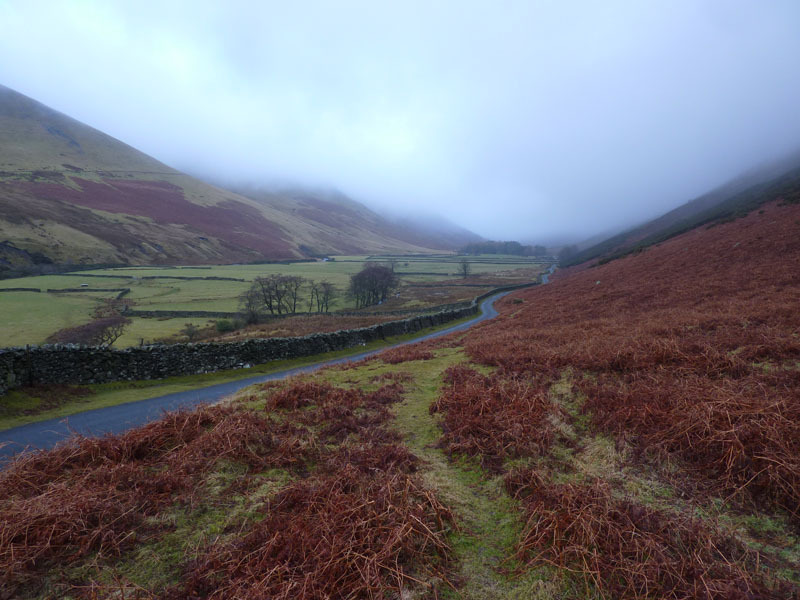 I parked just beyond those trees in the photo, adjacent to the village of Mosedale. It's overcast and damp, but "they" said it would brighten up and the best part of the day would be the afternoon. 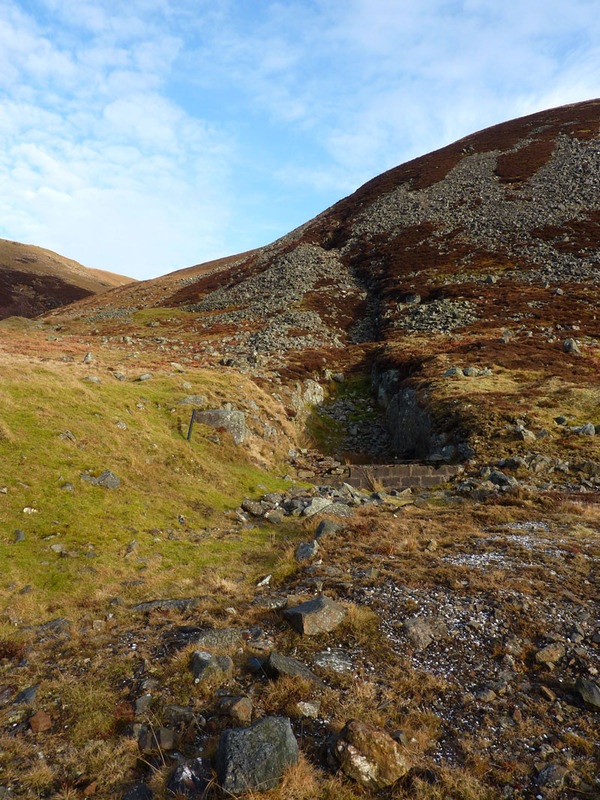 I wanted to walk up through the area of Carrock Mine. The walk is to be circular, I could have parked closer to the mines, but chose to start about an hour away to give the clouds chance to thin. You can avoid the tarmac early on. 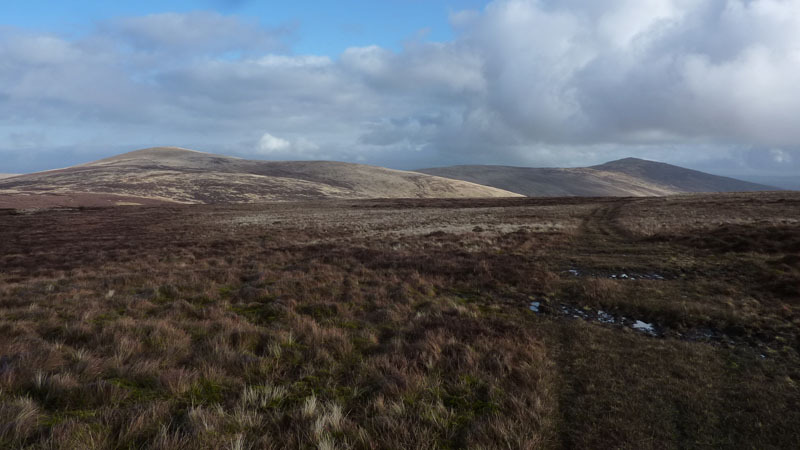 Carrock Fell is on the right. The cloud has lifted considerably in under an hour. I'm using a camera which has a fault, it leaves a small shaded area in the top left of an un-edited photo. I've used two strategies to alleviate the problem: use a small amount of zoom or operate the camera upside down - both worked! I really enjoy walking back into history. My mind can't quite see the men at work, but my imagination works hard to get a feel of what working in these environments would have been like. The authorities have worked hard to make this area safe, there are no unguarded shafts and entrancies have been filled in. 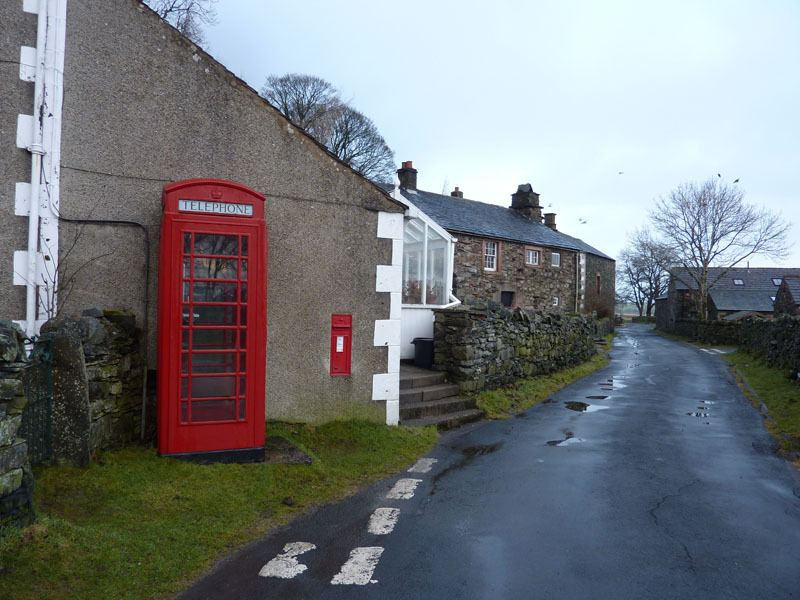 Wainwright saw cottages, they are no longer here. 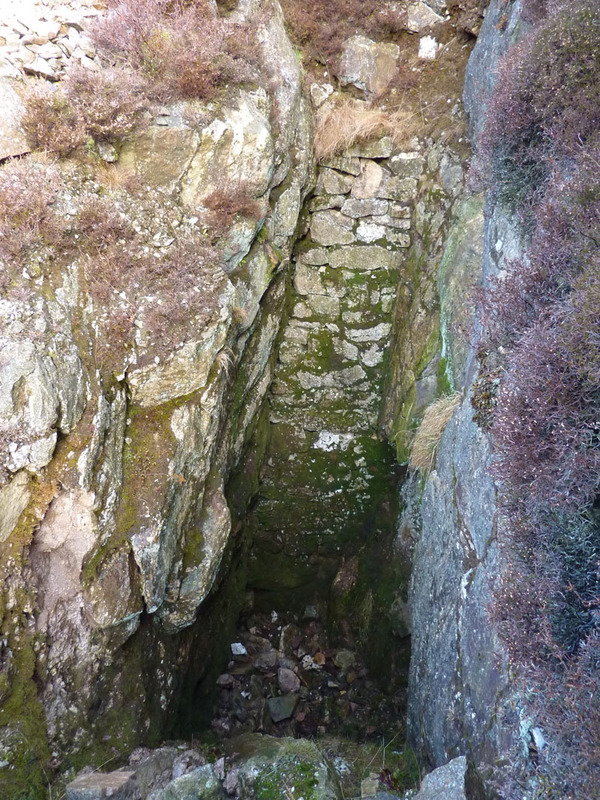 Brandy Gill is a feature of Carrock Fell; guarded, deep mine shafts are behind me on the fellside. A loose stone chucked down the hole would take a long time to reach the bottom, so I'm told! 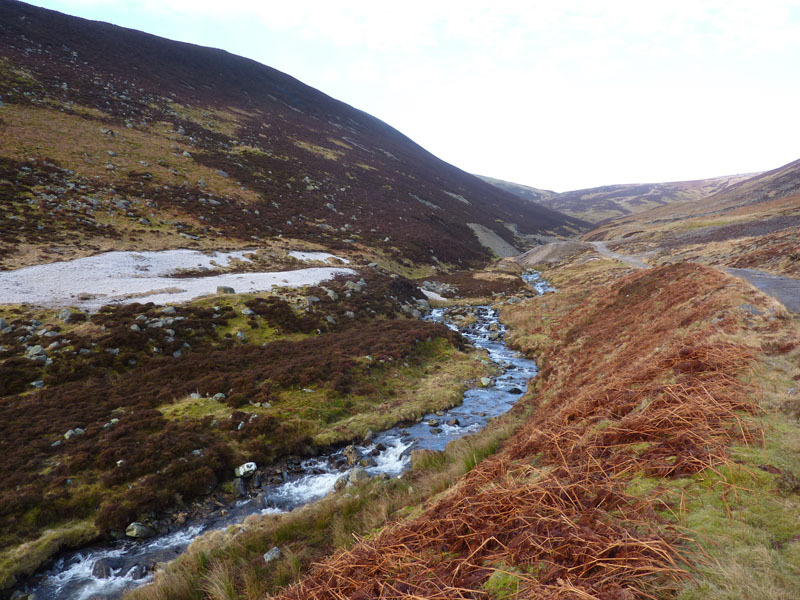 After the exploration of Carrock Mine, I followed Grainsgill Beck. 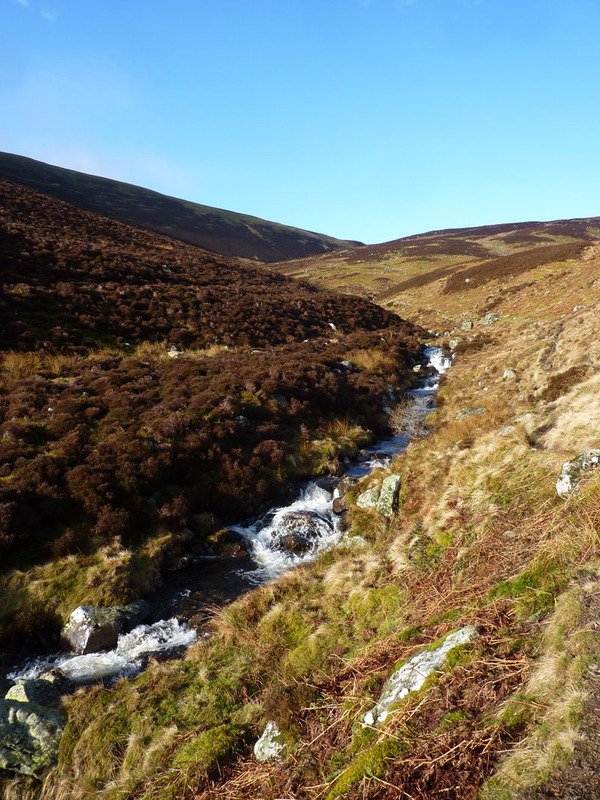 Shirt-sleeve order, a great walk in sunshine close to the babbling beck. 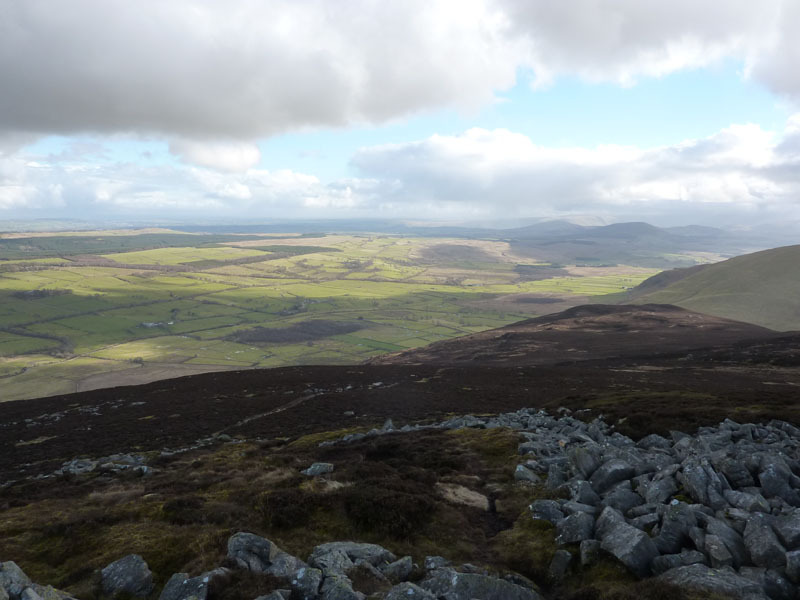 If I'd headed for High Pike, the walk would have been too short, so I diverted and aimed for Knott. 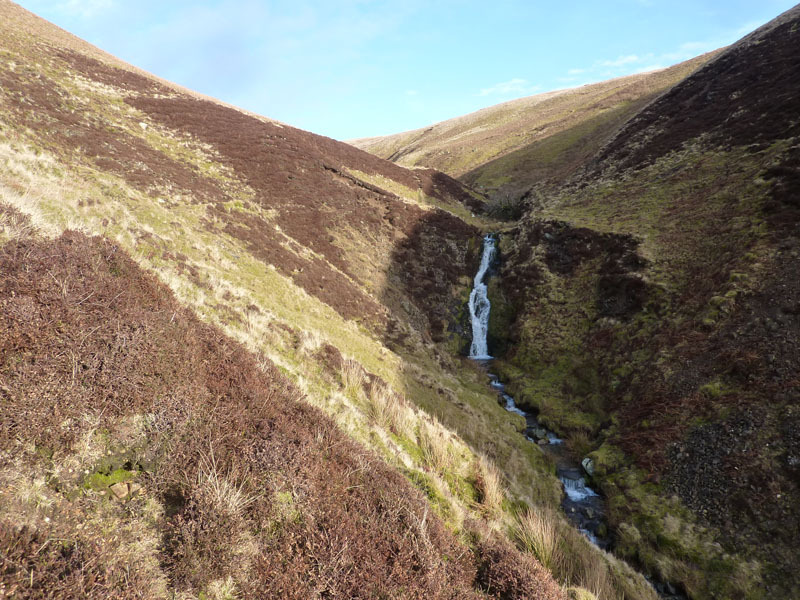 A look back reveals the drama of the glaciated valley. 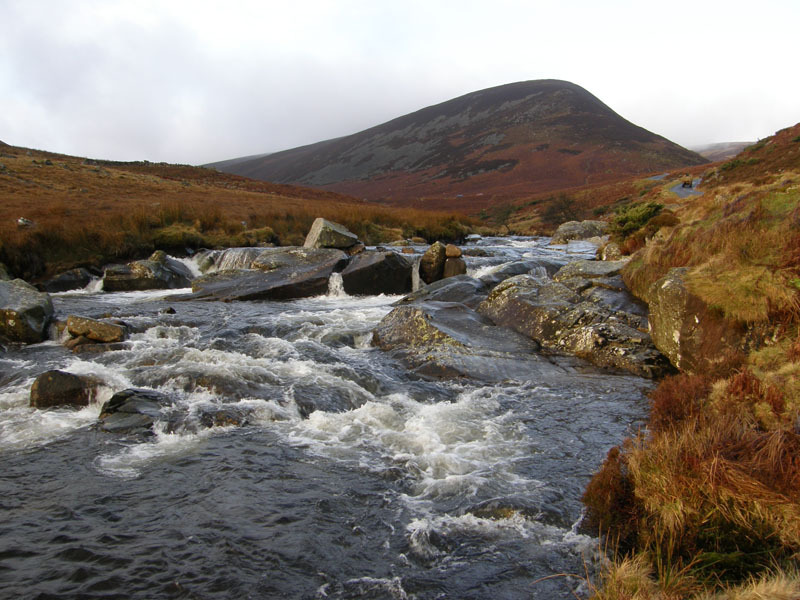 Experts suggest that the valley has been deepened by up to 200m by successive periods of glaciation. 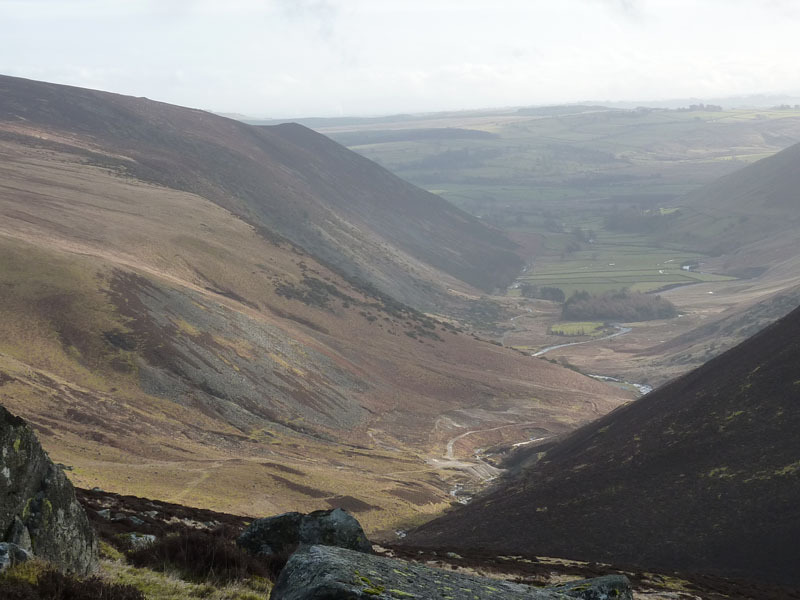 The degree of slope on Carrock Fell (left) above the steep decline into the valley is the suggested original rate of slope to a valley at at a higher level. Cloud has shrouded the summit and resticted views. Nevermind, there's nobody about and I've not seen anyone yet. Knott is, in my opinion, an uninteresting fell. But that doesn't mean it's not worth a visit, lots of good walking on open spaces - if just a little boggy at the moment. 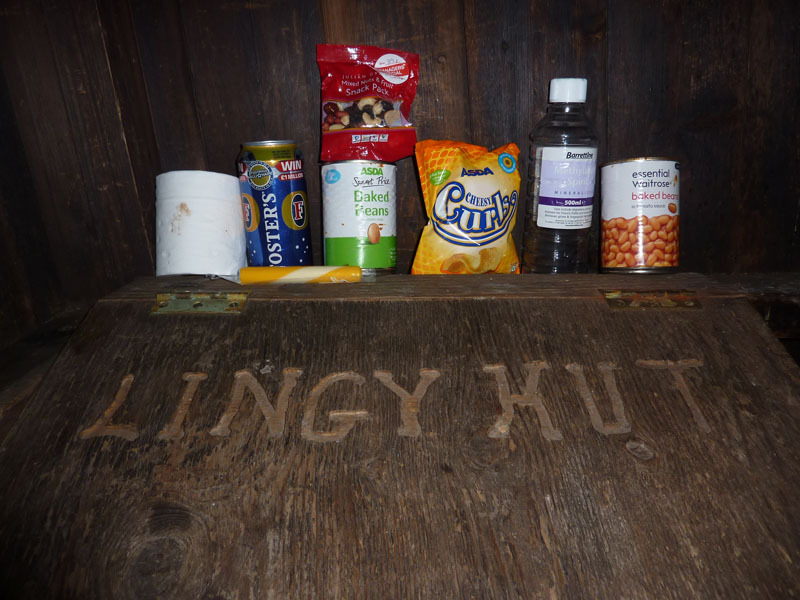 Lingy Hut, on the way from Knott to High Pike, provides welcome shelter to the weary or exposed walker. It's not unusual for visitors to sign the guest book or leave something for someone more in need. Notice the "Fosters" and the toilet roll; there is not a separate lavatory. 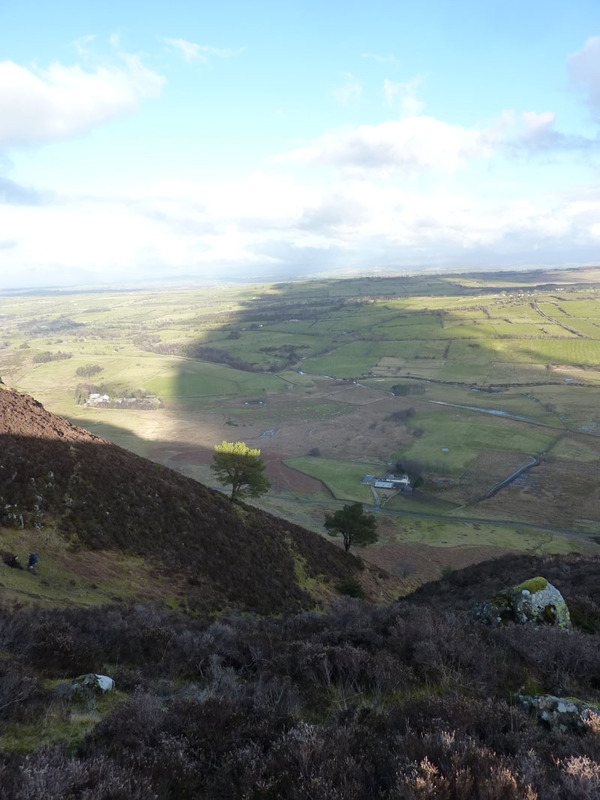 On the way to High Pike, I doffed my cap for the first time - 4hrs and 4 minutes into the walk, fantastic!! 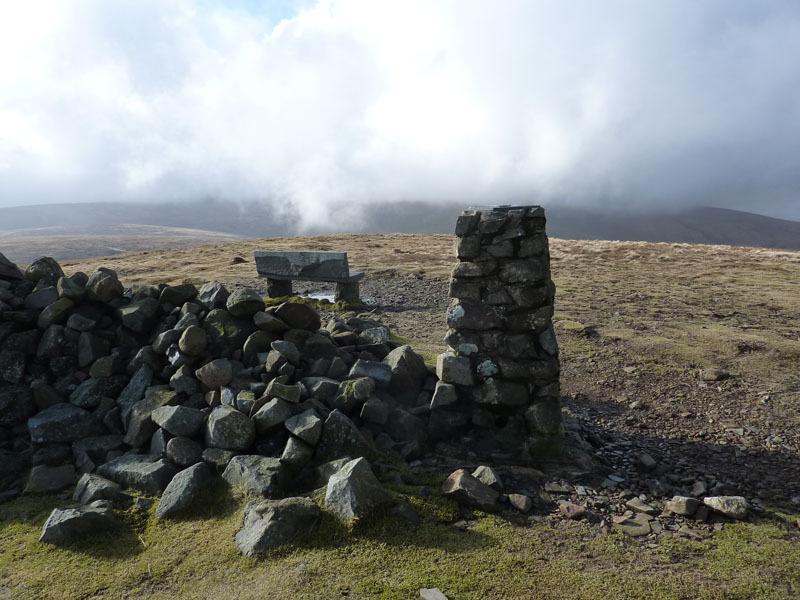 I took my lunch on the stone form, dedicated to Mick Lewis (16yrs) "who loved all these fells", he died in 1944. It's been here for a while and replaced a wrought iron original back in 1961. Q1. Why would the wrought iron bench need to be replaced, it hadn't rusted? I stopped and had a chat with Ken from Carlisle, formerly of Crewe. Q2. He has an email address with "jinty" in the address and he comes from Crewe, can anybody spot the connection? He wears interesting headgear. This is not my first visit to CP, I came on a wet day in September 1991 and don't remember very much. This return is long overdue. Q3. What is remarkable about the pile of stones in view? 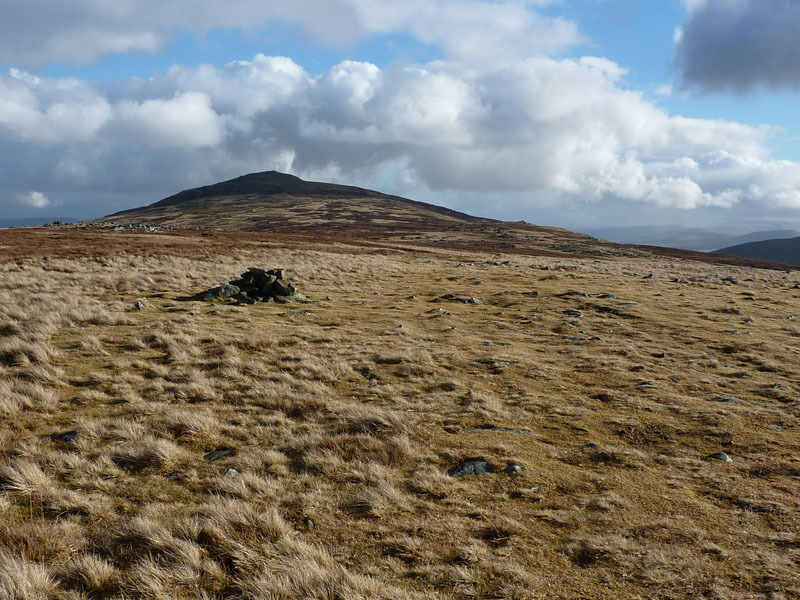 Carrock Fell is an interesting fell. 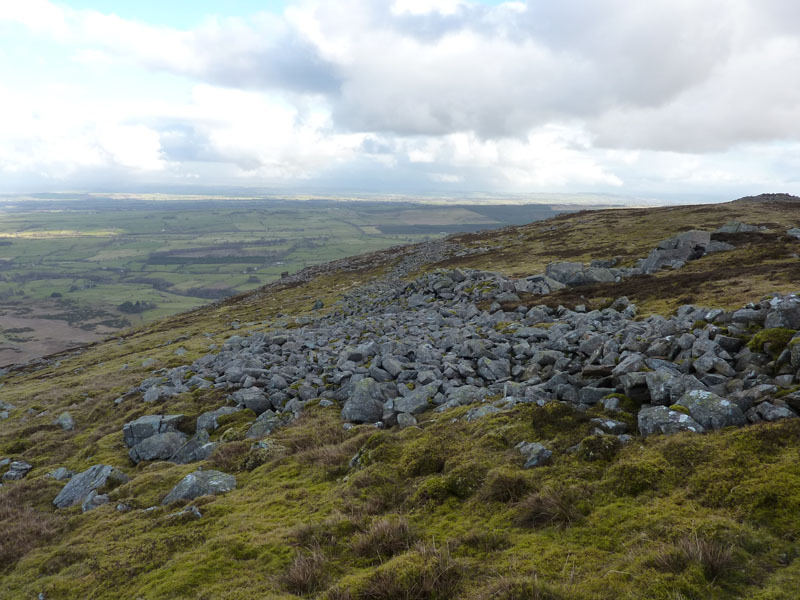 The summit area was once an iron age fort and it doesn't take a genius to spot the remnants of the walls around a large perimeter at the summit. 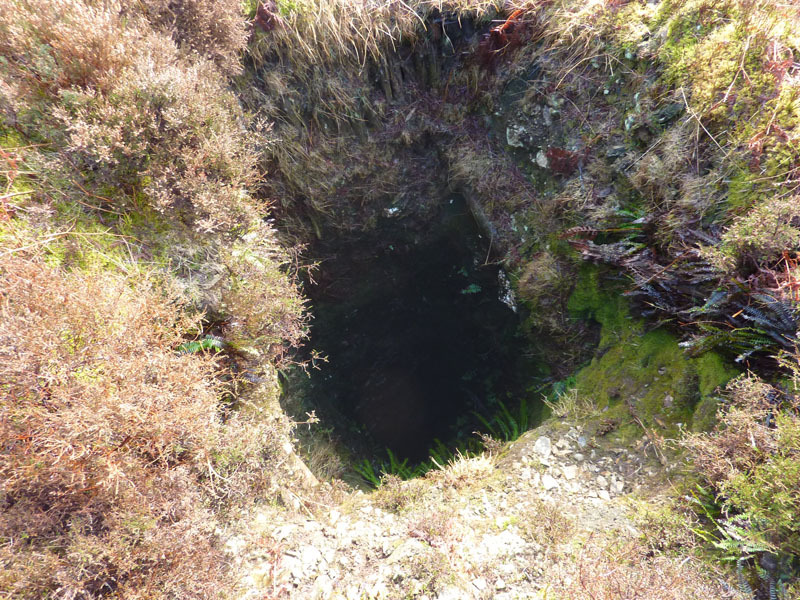 The mines I saw earlier and I'm now heading for the steep east fellside, many points of interest. I took the shortest route down as per AW's ascent from Stone Ends. 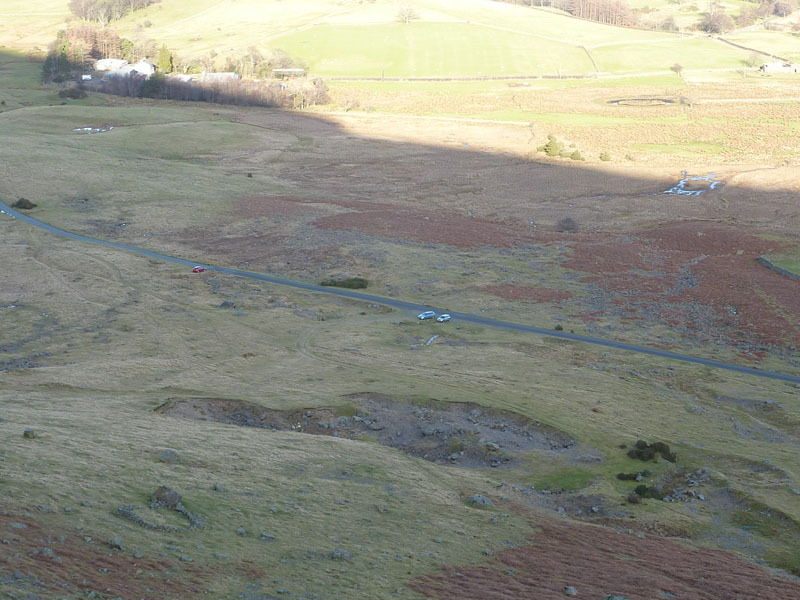 The descent is steep, can you see the walkers on the left? I took the zig-zag diversion, but found the path unclear. The huge shadow is that of a cloud. 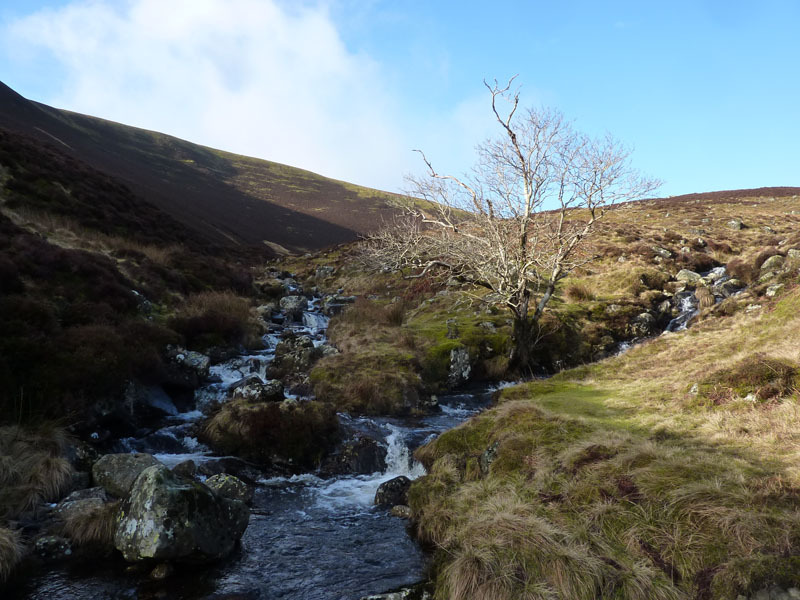 The stream down the mountain doesn't run in the gully, that's a strange thing, it enters the gully close the valley floor. Well, that's a strange name for the stones seen just the other side of the road. 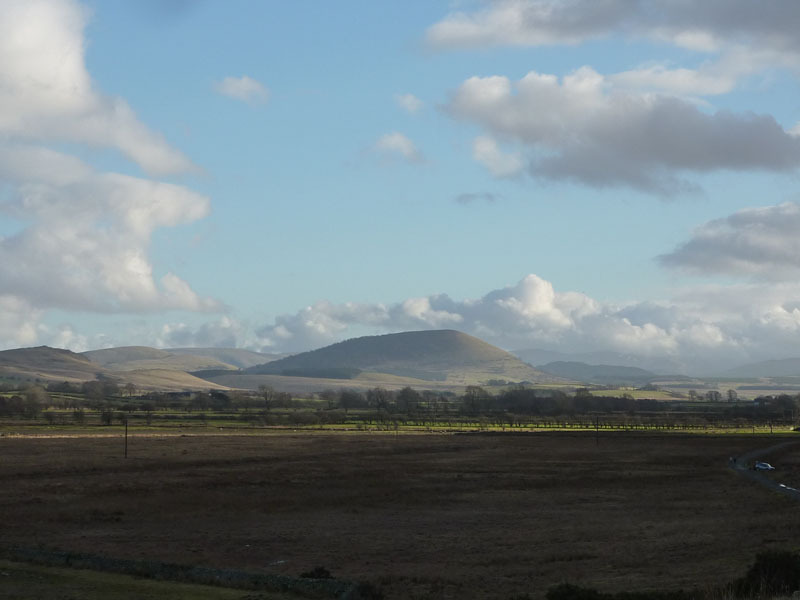 There's an Apronful Hill on the flanks of Pendle Hill. Interstingly, or not, the first people I met near Lingy Hut were also the last people I met on the road. They could have been doing much the same walk, the other way round. I stopped the clock on 7hrs, 7mins and 7secs! 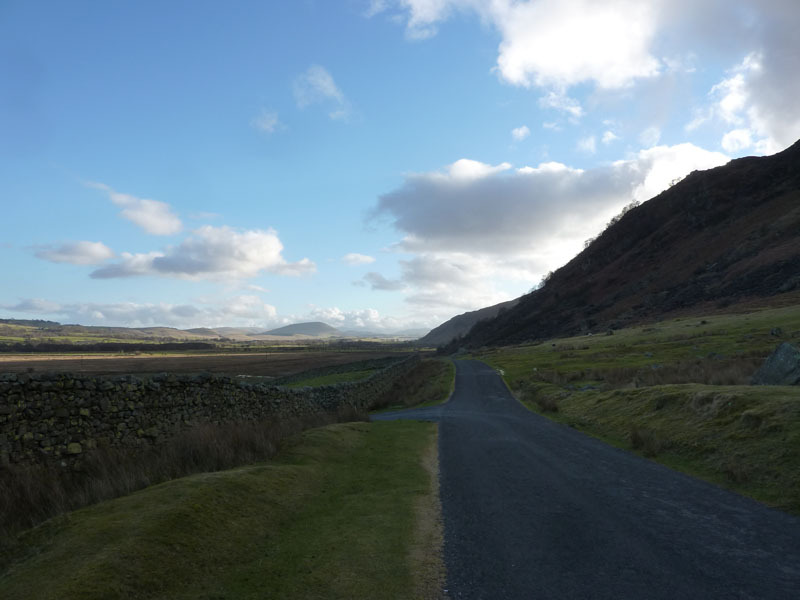 It's not that long ago, I had only climbed an handful of the Northern Fells and wasn't really interested in this area of Lakeland. It's all change now! Wonderful walking territory and no trainer-wearers or other tourists. Time taken: 7hrs 7mins over a distance of about 11 miles. 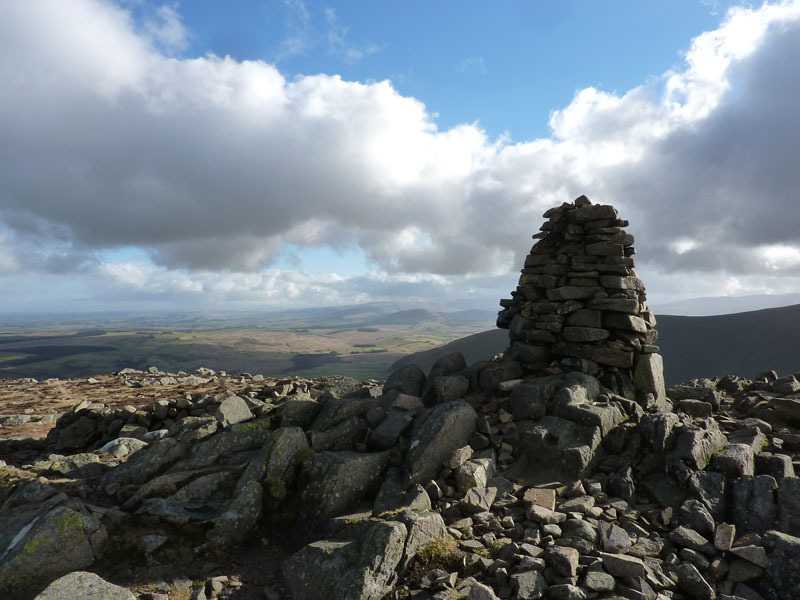 Weather and conditions: Clouds breaking to give a bright day, summit cloud on Knott. 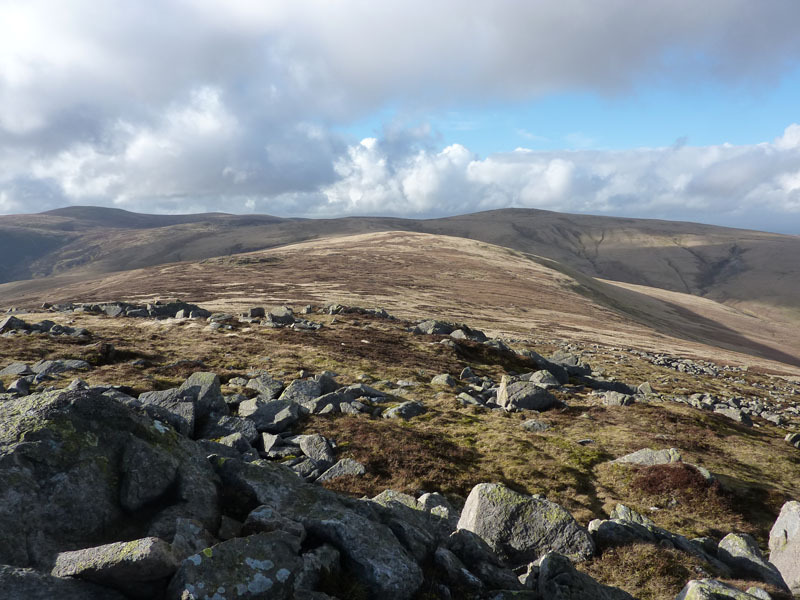 Greetings Count: Very quiet early on, plenty of folk on High Pike and towards Carrock Fell. Richard's Refreshment Review: Brew and cake at Tebay Service, not quite what I like to report on, but it was OK.
Q1. Sheep got their horns stuck in the wrought ironwork. Q2. Crewe is a famous railway town - it's really only there because of railways. Jinty is a steam locomotive class. Q3. 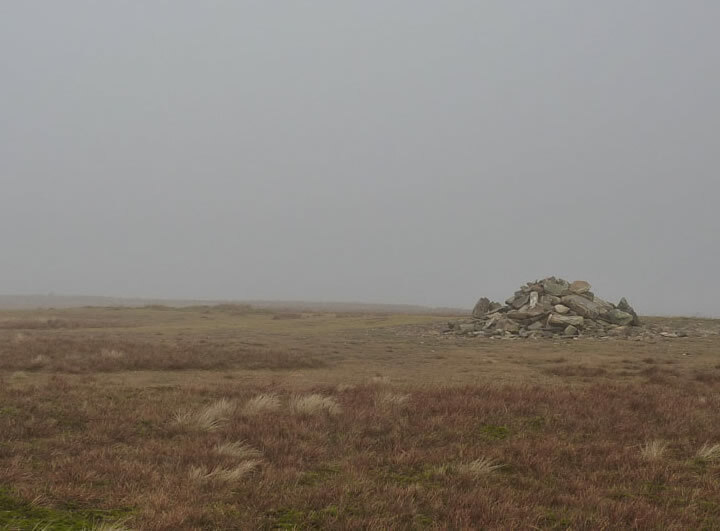 The pile of stones on Carrock Fell was the first "non-summit" cairn I'd come across on this walk. 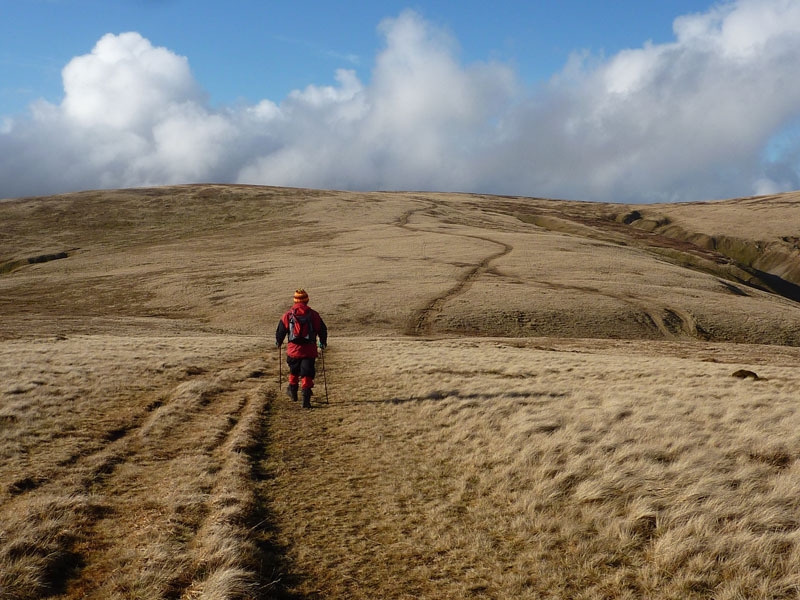 Lack of raw materials on Knott and High Pike, I suppose.